It is helpful to determine where the nesting area is located but it is recommended to contact a pest control company to treat and remove the nest since these nests can be quite large. The most effective treatment for social wasp is to apply a dust insecticide to the entrance of the nest which will terminate the insect within 24 hours. Wasp nests are removed if at all possible. 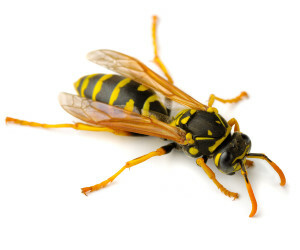 Miller Pest Control guarantees the wasp nest area for the duration of the season. Signs of infestation are dependent on species but most often the workers and the nest are the most common signs. Though it is recommended to leave it to a professional to properly identify the particular species living near your home, here are a few facts that might help you identify your pest. The most common health concern related to wasps is stings, which may induce severe allergic reactions in some individuals. There are over 100,000 species of wasp. Two common species are the yellow jacket wasp and the hornet.